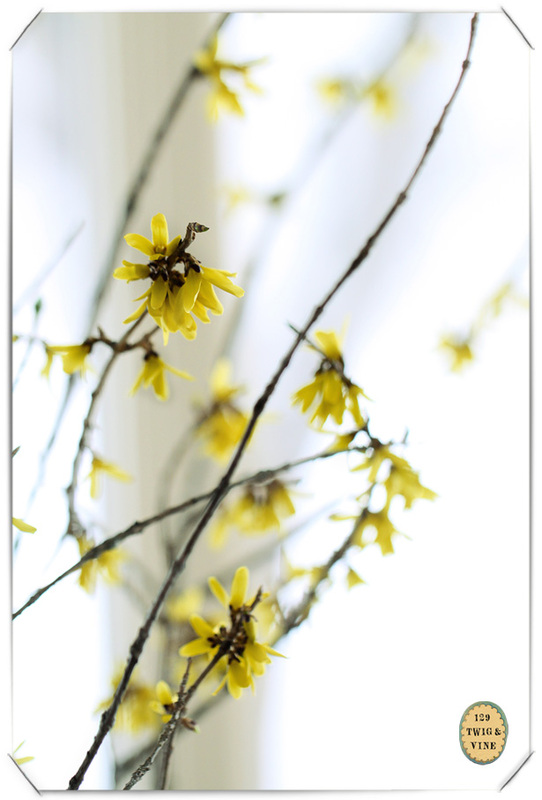 Nine days after I brought forsythia branches indoors I found the first three flowers opening. By today—day eleven—the whole arrangement is showing off. Through the yellow tinged branches I can see a red cardinal flitting around in the falling snow. Two thirds of the primary color group is making an appearance on a late February day. Newer Post Eat Sleep Read	Older Post Pears and Tulips. Snow Covered Branches. 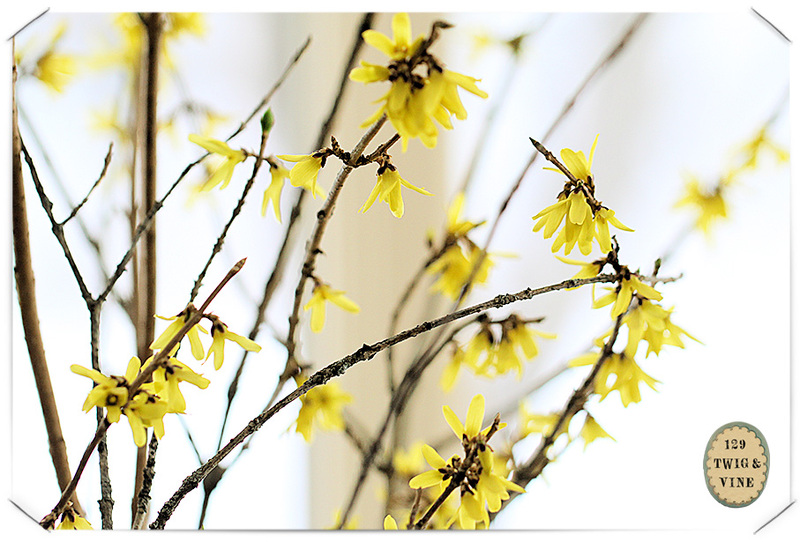 I can just picture that red bird flitting past the view of these bright yellow flowers…what a terrific image for this winter day! So beautiful and cheery! Thanks for sharing! How utterly delightful. I wonder if the same method works for witch hazel?